Proform Cam Degree Kits supply you with everything you need to degree the cam with the heads off or on the engine. These kits contain all the tools needed to degree cams in the most popular engines, assuring proper cam timing and lobe lift for maximum performance. 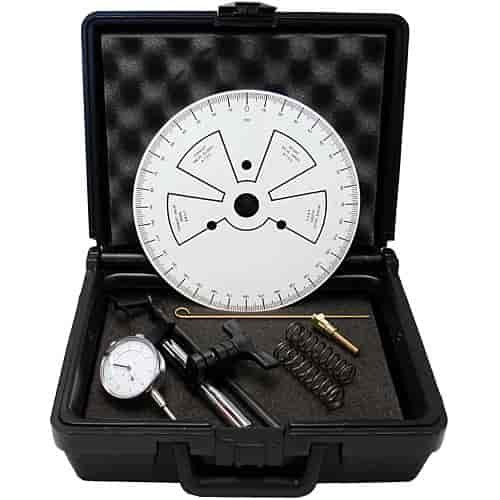 Features components including 9'' degree wheel, dial indicator, dial indicator mount, top dead center locator/piston stop, wire degree wheel pointer, detailed instructions, and a durable foam padded carrying case.